>> Player's Appreciation Event - Summer is not over! July has ended, August is here. Since the start of July, we have had 30+ minor patches applied to the server, but today we are ready to announce our latest patch with feature updates, new content and free stuff! This announcement will be mostly technical changelog information with developer annotation. Since the 2nd week DMS was released, we've gotten a lot of feedback about the frustration a player goes through when trying to complete missions. We noted that most players completed missions near 12AM, when missions were reset. This left players who logged in later in the day to not have access to completing their missions, despite them wanting to. With these changes, we have laid the guideline for how DMS was supposed to be: a reward system with guidelines to increase community engagement. I hope it does not feel like a burden anymore, and I believe the changes will reflect that. -- P.S. I am always looking for feedback, feel free to give feedback on this update in #player-feedback on Discord. Mission difficulty decreased by 20%. We all agreed they were just too hard for their rewards. Missions are no longer single instance. All 5 daily missions generated will be available to the player. If multiple missions can be completed in one game, all progress will count towards all applicable missions. (Example: Kill 10 quest monsters & complete quest 5 -- Doing quest 5 and killing monsters will advance you through both missions). Daily mission completion cap is still 3. Players will be able to pick 3/5 missions to complete, with a healthy mix of solo missions and multiplayer missions. Map condition added to Teamplay & Survival type missions. There is a 1/9 chance for these missions to not have any map conditions. Map conditions were intended to allow missions to have more of a dynamic nature, allowing players of different play styles to compete in different places (other than Lava map). @dms/@mission command printout completely changed to accommodate new changes. We intend to add more missions with this framework, but we also want to see how the community's feedback is regarding the new changes. We will continue to add missions after we make adjustments to the present system to ensure everyone's happy. Originally, Survival Project had user interface options for players to adjust whether rooms had card limit, limiting anger, etc. Our new room command system implements some basic commands and rules to the game, but also adds some unique rules for unique gamemodes players can create (Dodge without flying characters, Teamplay with no avatar, Crystal with level 6 items). We intend to add more rules as things progress, like Limit 2nd skills on items. Command can only be used in rooms. Most commands are for the room master/leader only. Commands in room MUST be done in FRIEND or GUILD chat. Other commands can be found through @room help. 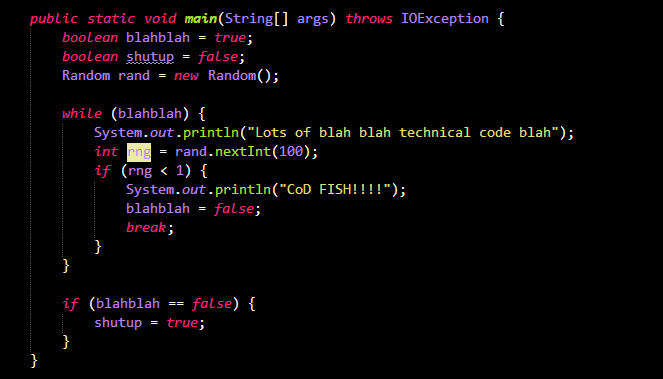 These commands are more intricate and will be explained. Displays all room commands available. Disables or enables avatar usage, works for Random as well. Disables flying character usage. Shamoo, Cream, Will & Hazel. Limits card levels to number <#>. Survival Project originally had a feature where when you purchased a Super Silver card, you would get a random "SP" card every visitor bonus. We have implemented the same feature but it is free for all players. We hope this feature enables new players to compete with veterans (to some degree, it's better than a level 7 set right?) and our seasoned players to be able to try new items out. Upon receiving a Visitor Bonus (login bonus), SP Cards will be given. Have more than 5 slots in your inventory. You will receive an additional set if you have received the first set, and have 8 or more slots in your inventory. Cards cannot be fused, sold, saved or traded. They remain on a players account until the next visitor bonus, which resets the cards. What is a 'set' of cards? A set of cards includes 1 Accessory type card & 1 Weapon type card. A set of cards will always be the same elemental type. Cards are level 9, with randomized 1st Skills & 2nd Skills. 2nd Skill Activation is set to 28% permanently. We have recently noticed that 1-1 cards had no place on our server and wanted to make some corrections to that. 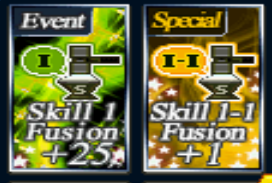 Rate changes will apply to Regular Skill Fusion, 1-1, Skill 1 to better reflect their value as a fusion source. When receiving a new first skill, the chance for a maximum (Max time down, max damage) type skill will be 40% more difficult to obtain. When receiving a new second skill, the chance for a maximum (Triple Shot, Accel 6s) type skill will be 20% more difficult to obtain. No changes have been applied to 2-1. Maybe this should be put at the top because it's free, but alas it's here. In part of wanting players to have a better experience on the SPGENS servers, we are giving away 6 slots upon visitor bonus for 1 week. If you have 96 slots (maximum), 5,800 cash will be refunded to your account. Increase should leave players with 24 slots by reaching level 18 (1 full page). These are pretty self explanatory. I will continue to make fixes accordingly based on server statistics and data. Null session based crashes (current CoD cause) have been addressed. @event printout is cleaned up. Database disconnections issues have been addressed. Super Silver cards that are untradable cannot be Silver Charged. Fixed: Unverified players having access to Auto User Shop -- Disabled. Fixed: Guild Points not showing up for @guild lookup for guild leader.